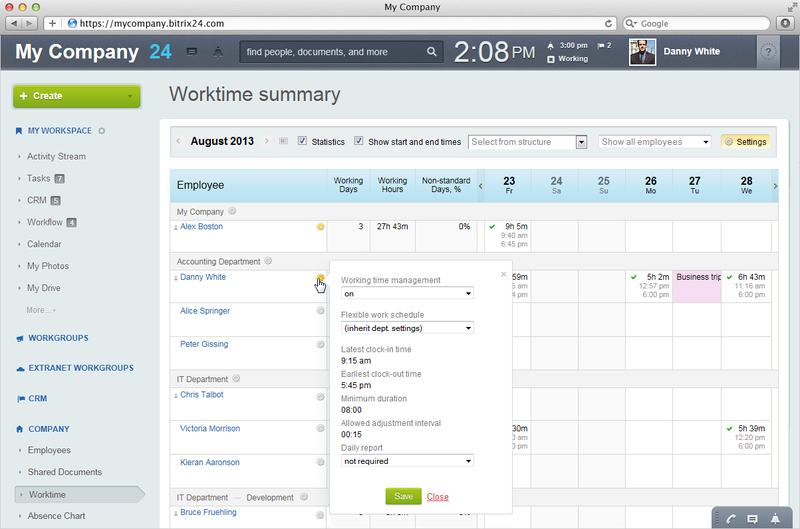 You can use Office42 as a traditional corporate intranet, or as a social intranet (HR 2.0) solution. It’s up to you which one you choose. 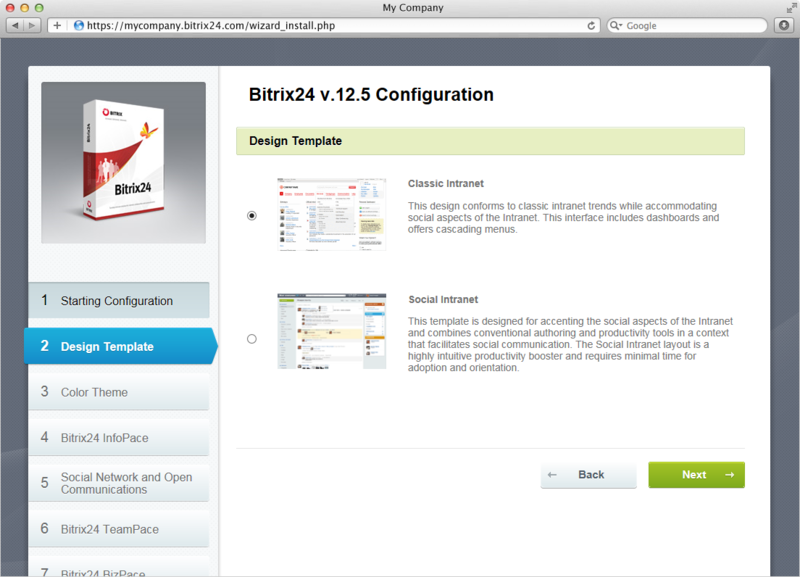 If you think that making your intranet more social will increase productivity and efficiency, you can use all the social options of Office42 without any extra charges. The ‘Classic’ (SharePoint-like) interface provides moderates the social aspects and provides more flexibility in the interface appearance. But that’s only one aspect of Office42 flexibility. Nowadays not everyone is a full-time employee. Office42 is here to help your HR department work with non-traditional personnel types, such as temporary employees, freelancers, interns, trainees, volunteers, consultants, advisors, etc, with precise access and role assignment. Extranet gives you a great chance to enhance collaboration with people who are not your employees, like clients, service providers, advisors, etc. For example, your marketing team may want to include a PPC consultant or a branding agency into specific internal discussions. In this case you can create an extranet workgroup where your marketing department and those third party users can work together. 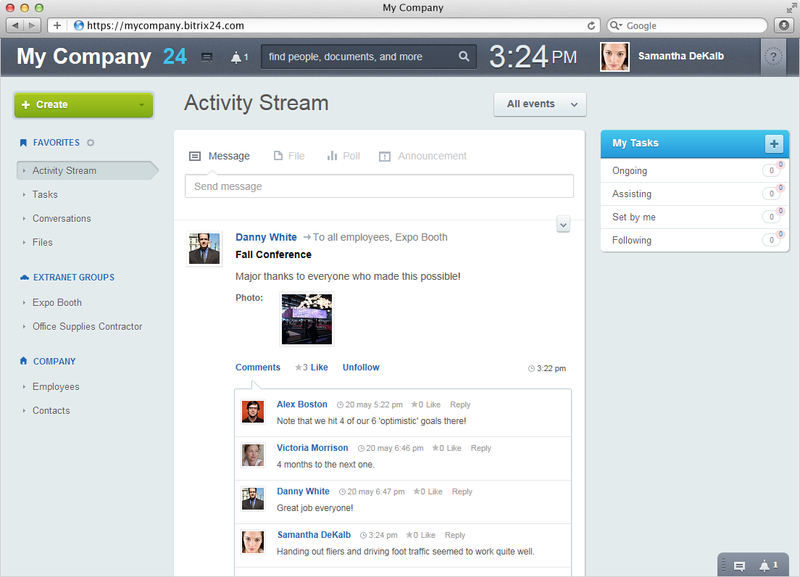 Extranet users will only see the Activity Stream and documents of the workgroup they are included. 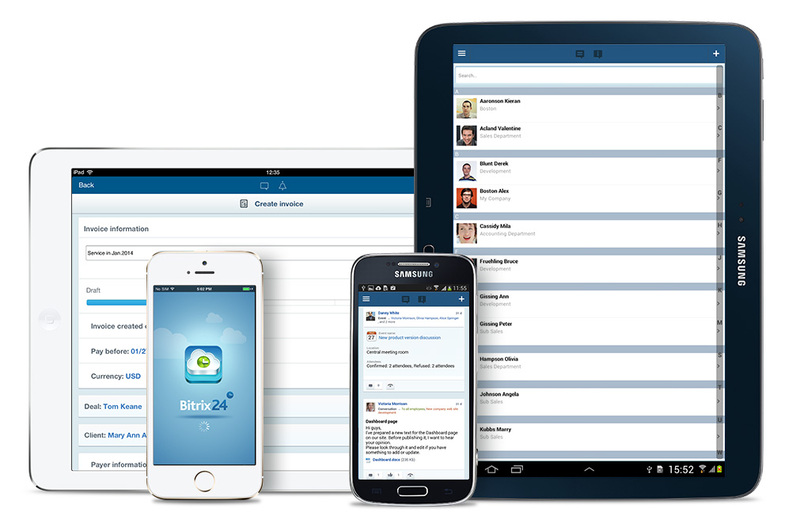 With Office42 you and your employees can access the intranet whenever and wherever, thanks to the free mobile app (for iOS and Android) and desktop app (for Windows or Mac). You can work on tasks, send instant messages, read the Activity Stream, browse user profiles, work in CRM even when you are not in the office.